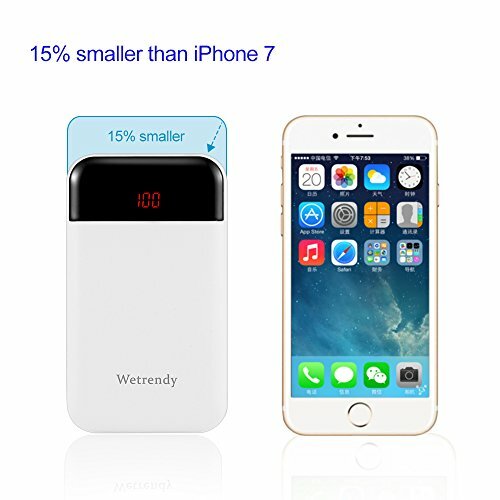 Wetrendy Portable charger 10000mAh is one of the light weight backup phone Charger for your portable digital life, Adopted SAFE Li-Polymer External Battery, keep you powered on-the-go. 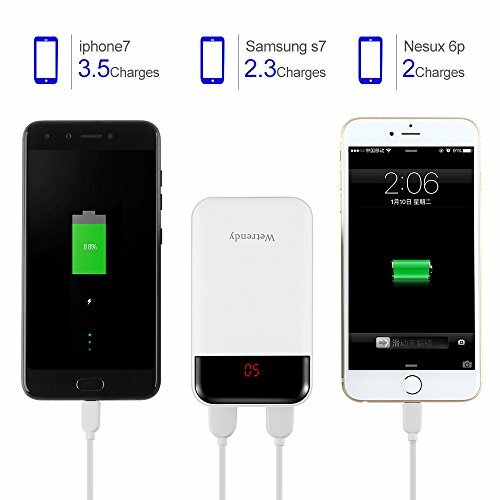 This External battery charger’s equipped with smart “CPU” with 9 protections, featured over-charged, over-discharged, over-voltage, over-current and short circuit protection. Auto switch-off function when charging finish, helps to protect the battery itself and also the devices connected. 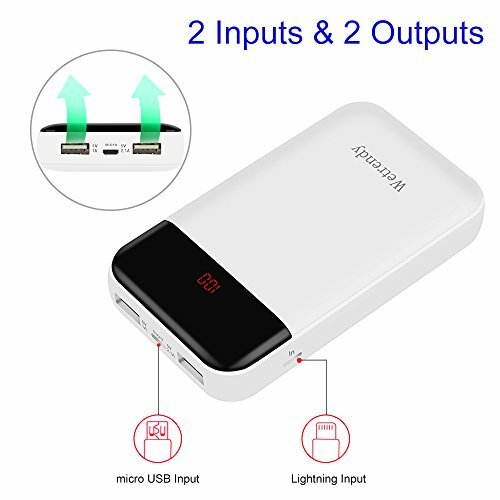 With 2.4A for Dual full USB outputs, it charges two devices simultaneously. 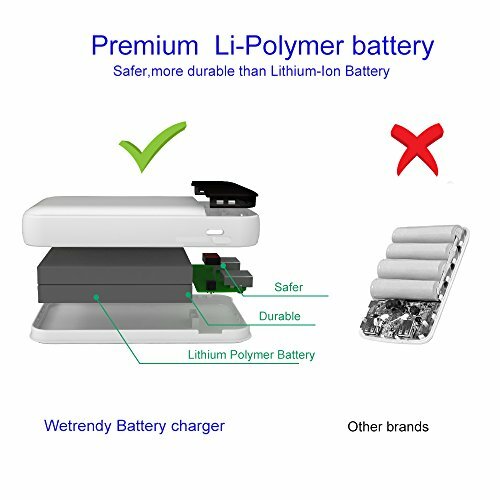 ♛ Safe & Premium Li Polymer Battery: This Battery pack charger’s made of premium high density Li-polymer battery, it’s light weight, safer and more durable than Lithium-ion battery, provides over 3.5 charges for your iPhone 7, or more than 2.5 charges for Samsung S6. ♛ Ultra Compact Design With Digital Display: Light weight design, 15% smaller than an iPhone 7 , with highest V-0 fireproof shell. 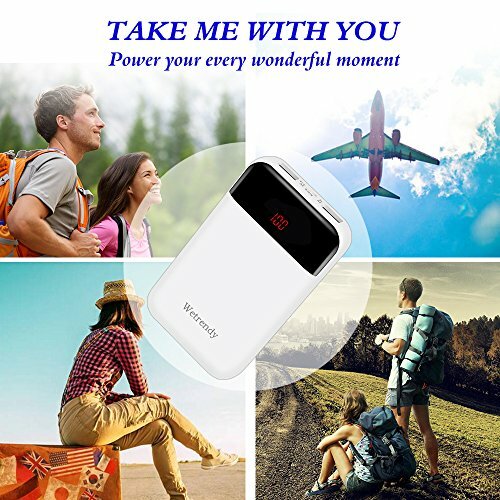 Clear digital display always know the battery juice before you go, this Portable charger 10000mAh is ideal for your travel. ♛ Smart CPU & 9 Protections : The portable Battery charger’s built-in a Smart ” CPU ” with 9 protections, combines over-charged, over-discharged, over-voltage, over-current and short circuit protection etc, fully protect your devices safe. 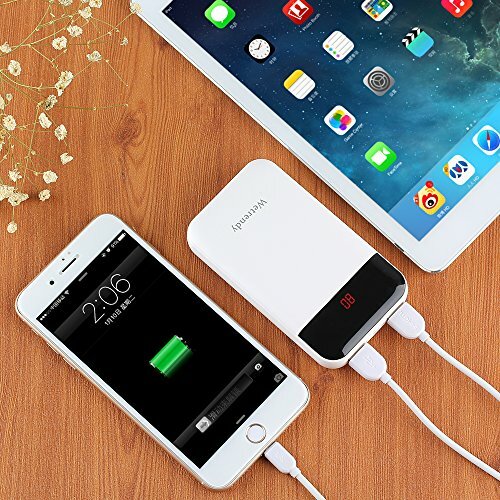 ♛12 Months Warranty, SATISFACTION GUARANTED: Backed by 1-year Warranty and Multiple Protections, our External Battery charger is compatible with all 5V digital devices, power your digital life. If item fails to meet your expectation, we’re ready to provide you replacement or refund.